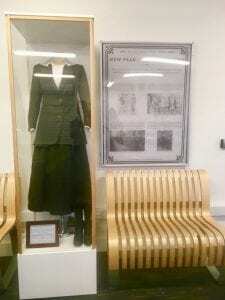 Second year BA Fashion and Dress History student Anne Roberts explains the display in the foyer of Pavilion Parade, which resulted from a group exhibition assessment. 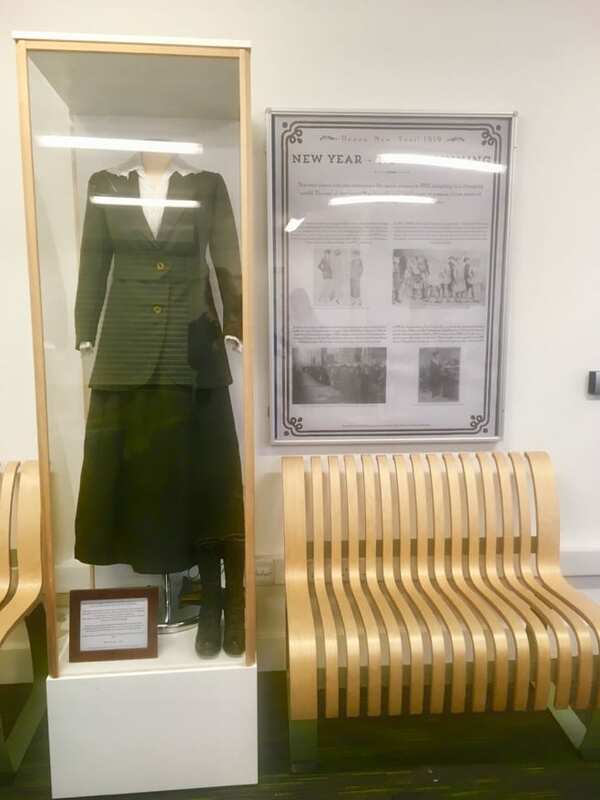 ‘Everywoman’ became both the name and the theme of the historic dress exhibition that appeared in the reception of Pavilion Parade in January 2019. Designed to welcome everyone back for a fresh academic term, the display was also intended to be thought-provoking. As a group, we wanted to highlight historic anxieties and human insecurities. 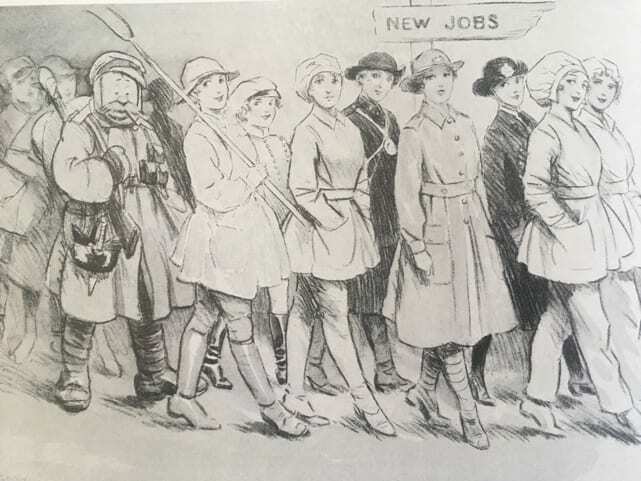 Exactly 100 years ago many people in Britain were facing an uncertain future as they faced the reality of living in a new post-war society, and today we are again contemplating uncertainty and change as Brexit becomes reality. War and its consequences have often been told from a male standpoint, but we wanted to highlight some female perspectives. To research the display we looked through women’s magazines and other contemporary literature from 1918-1919 to find what issues were being discussed. We hoped that the viewer might then ponder these and wonder if they were still relevant to women’s lives today. 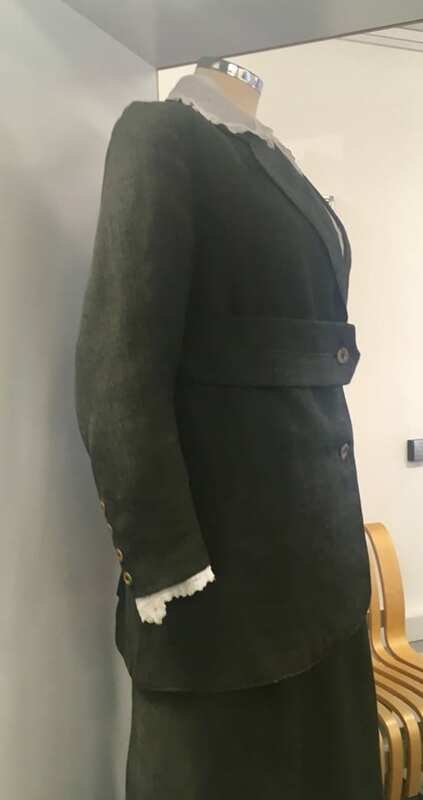 The installation was the result of a team assessment in a Level 5 Shared Option module called Understanding Exhibitions and Creating Displays, taught by Dr Harriet Atkinson. 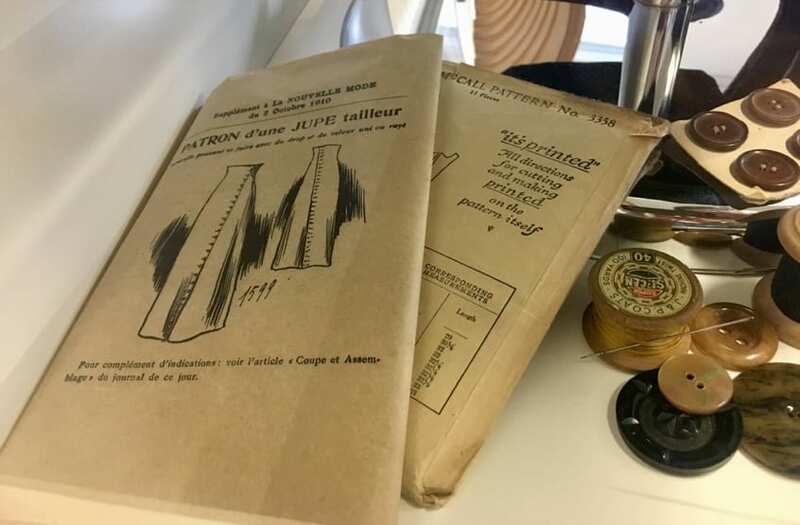 It was supported by staff in St Peters House library and Professor Lou Taylor, Professor Emerita in Dress History and Curator of the University of Brighton Dress History Teaching Collection. The semester-long project culminated in four displays curated by students working in small groups, both in St Peters House library and in the Humanities building in Pavilion Parade. Students were required to choose objects from either collection and create interpretive displays around them. Rebecca Lane, Josie Stewart and Sylvie Therezien and I are all studying dress history, and as a group we all wanted to work with objects from the extensive Dress History Teaching Collection. However, it soon became apparent that our group’s choice of items would be determined by some practical limitations including the size of the narrow display case and the necessity of using existing mannequins. Many of the dresses in the collection were also either too fragile or too tiny to be mounted on the only available dress forms. The two-piece woman’s costume that we eventually decided upon appealed to all of us because it was a good example of everyday dress, possibly homemade and certainly well worn, thus representing the antithesis of many of the elite items of clothing often seen exhibited behind glass – hence our suggestion of a more inclusive ‘Everywoman’. Its measurements were generous for an example of authentic historic dress, which meant that we could mount it on an existing form! 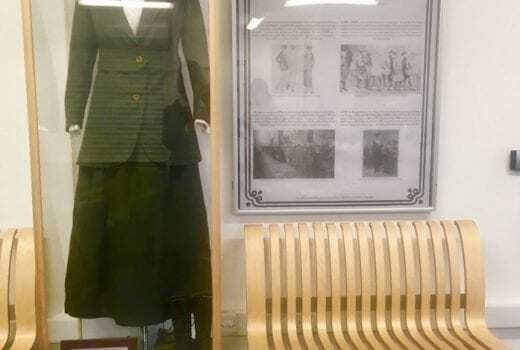 While nothing was known of the original owner, careful examination of the skirt and jacket revealed evidence of wear, repairs and later alterations. 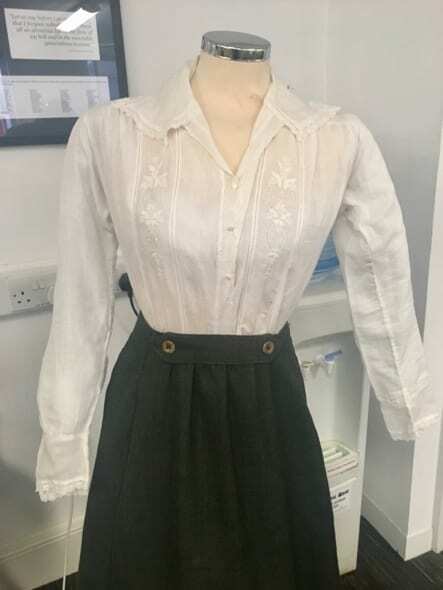 Made of a sturdy, almost coarse ribbed wool in a practical shade of dark green, the high belt, cellulose buttons and the distinctive calf length A line skirt meant that we were confident dating it between 1914-1920. We added a blouse of a similar date and provenance, also from the collection, and sought out further items to illustrate the imagined life of our woman. 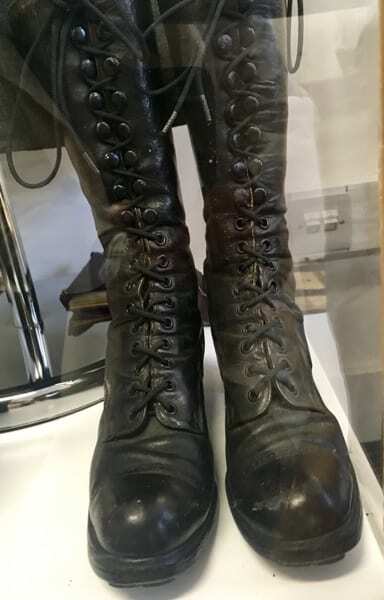 The boots and the sewing notions came from our own personal collections (some items belonged to my Grandmother) and we chose them to add depth and character to the display. The boots, with the indentations and creases of their wearer’s feet still clearly visible, spoke of the value of thick leather soles on cold damp floors, while the metal hobnails told of anxiety at the price of boot repairs. Paper patterns, thread and sewing cases were also included to illustrate the reality of creative female endeavours on a limited budget. We hoped that the objects would speak for themselves, so we used the wall mounted display case to identify four issues that our woman might have thought about, as she pulled on her boots or buttoned up her blouse. Irish politics, the rights of women, fashion on a budget and the consequences of men returning from war were identified as issues which were important to women in 1919 but are still relevant today. From the font used in the poster, to the layout which referenced silent movie stills from the era, we tried to create a low budget installation that used historic dress to illustrate social history. All of our illustrations were chosen to echo the style of the costume as well as to further highlight the topicality of our themes. There is sometimes a casual assumption that the study of fashion and dress history involves nothing more intellectually challenging than turning the pages of a fashion magazine. Our modest exhibition sought to illustrate that social history, consumption practises, human aspiration, greed, frailty and ego may all be evidenced by the careful scrutiny of each surviving garment and accessory. The response to our ‘Everywoman’ has been gratifyingly positive and many students have told me that they could imagine wearing the clothes even though they were, “really old.” A lot of people have remarked on the boots and one visitor said that she had been “strangely moved”, by the evidence of the personality which she thought she had glimpsed behind the Perspex case. 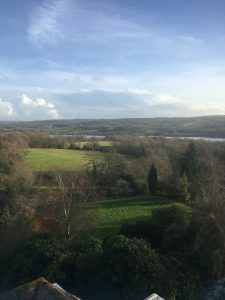 Final year BA (Hons) Fashion and Dress History student Maria Purnell on working at the National Trust property, Standen House and Gardens. Normally, balancing a degree with work is hard. 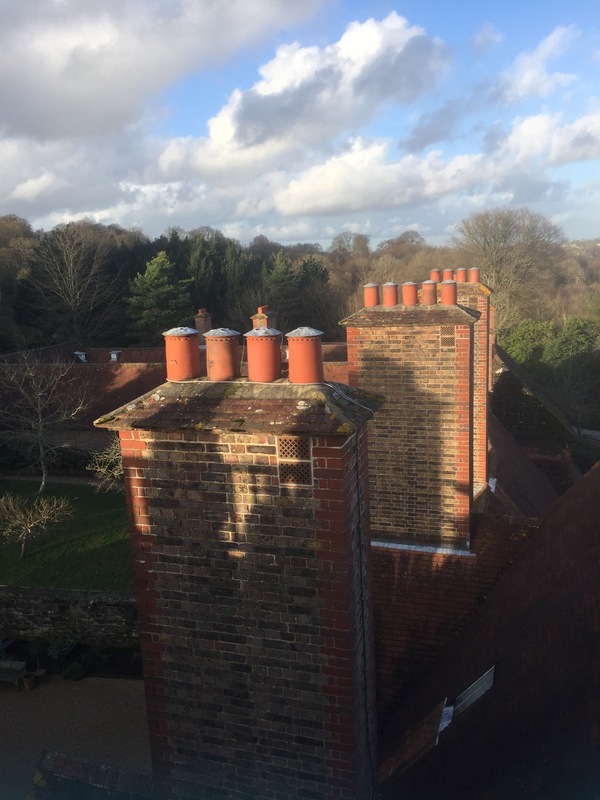 However, having the opportunity to work for the National Trust as customer service assistant has allowed me to earn money, learn new skills and provided me with valuable knowledge, not only about the Trust’s purpose, but about the property itself. 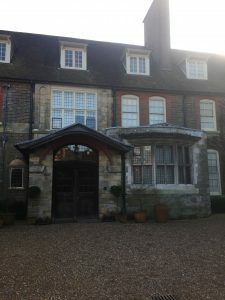 Standen House was owned by the Beale family, who lived in London but built Standen as a holiday home, for the much-appreciated clean country air away from the city. What makes this house so special to the Trust is that it is a perfect case study of the Arts and Crafts movement, designed by Philip Webb in collaboration with William Morris. 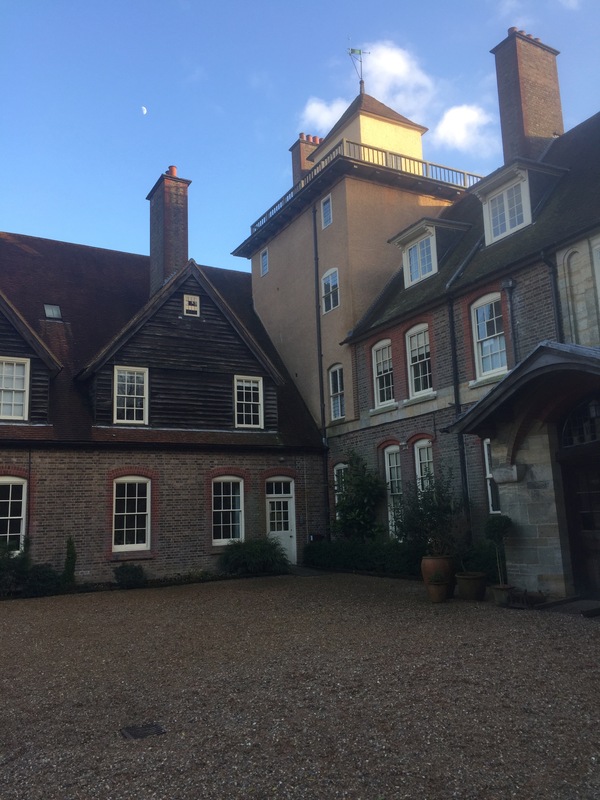 Working at Standen however, isn’t your ‘average’ student job. Upon arrival before the visitors, it is astounding how peaceful and tranquil the gardens can be. 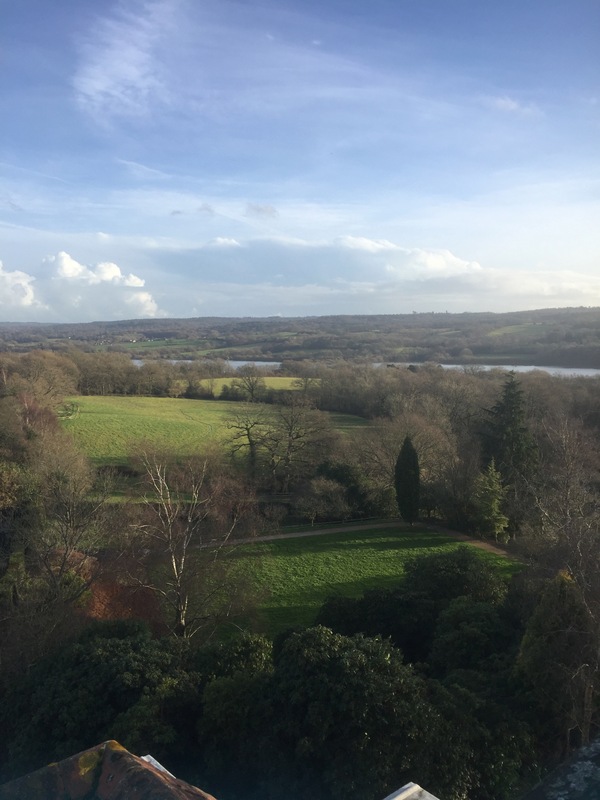 The scenery is breathtaking; on a clear day on top of the hill you can see for miles around, overlooking the countless fields and trees. 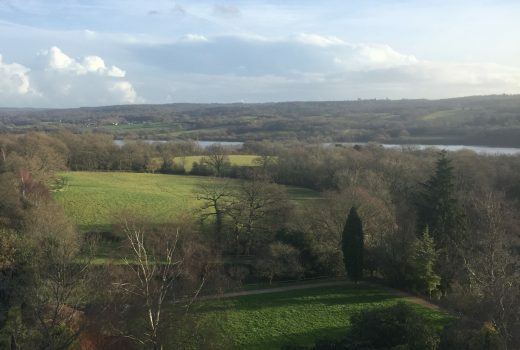 One of the best aspects of working at a country house is how close to nature one can be; on a quiet day one tends to see an abundance of wildlife such as rabbits, squirrels and robins, which are not particularly afraid of humans. The majority of the time I work either in reception, scanning the memberships and helping provide information to visitors or, when particularly busy, down in the car park, helping everyone park sensibly and giving people information and directions. This Christmas 2017, however, I got given the opportunity and responsibility to oversee ‘Woodland Santa’, our property’s Christmas grotto. It was an incredible experience and a privilege to be able to take part in such an event. Management put their faith in my abilities to organise elves and make sure Santa had enough presents for the children. Luckily the event was a huge success, and the children and their parents were thrilled with the property and the organisation. 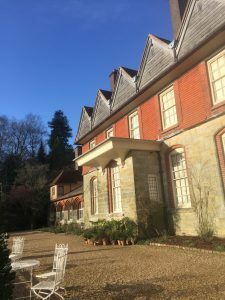 The knowledge I have gained so far during my time working with the National Trust has helped greatly towards my degree, when understanding art, design, domestic and social history of the period which Standen dates from. Studying a degree in fashion and dress, one has to take into account the significant events within a period that can influence art and design. Standen House and the National Trust have provided me with much knowledge about the creation of this country house and allowed me to pass this on to visitors. Although the job has helped contribute to my degree, I also think the degree has helped me to do my job. Fashion and Dress History has allowed me to gain confidence when talking and explaining theories and historical concepts to fellow students. I have adapted this skill to my job at Standen, by having the confidence to talk to the general public about the history of Standen and the social and cultural histories that it reflects.